This family had two separate sessions to take advantage of both the morning light and the sunset in the evening. 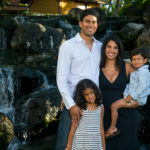 They did the session at a combination of a private home and down at the beach at the Fairmont Orchid Resort. 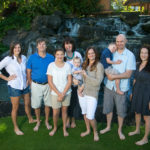 During their portrait session they did the separate family groupings as well as a large group portrait.